I have always loved mountains. I suppose it’s their size and grandiose nature of them. But, alas, I have never lived in a state where I could enjoy them. Sure, I’ve traveled and visited folks that live near or on them, but those limited visits are just not enough. 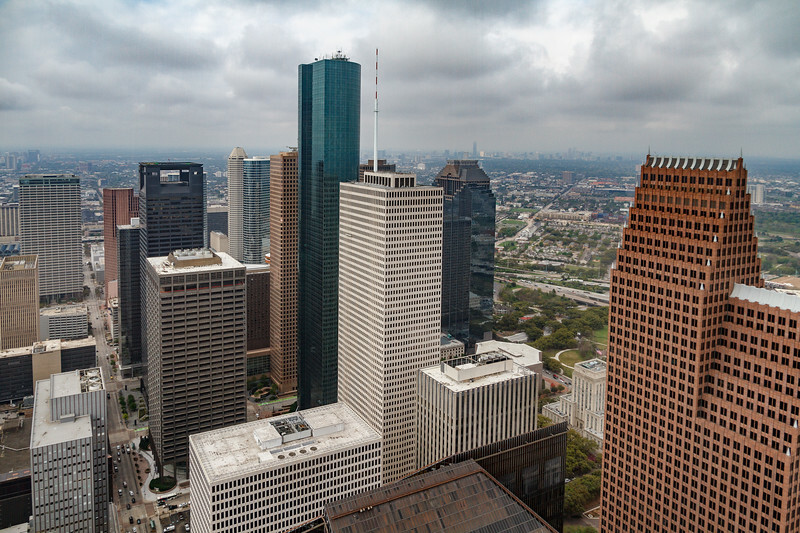 The next best thing around my area is the great skyline that Houston has to offer. A great skyline is something to take in, especially at night. Last year, one of my daughters and I went downtown and visited the Chase Tower. 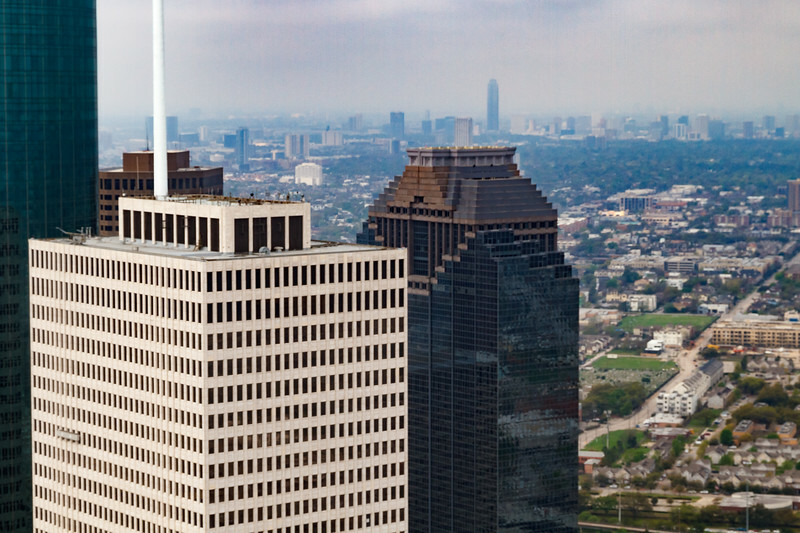 It has a great observation area on the 60th floor to enjoy a great view of Houston from above. Since I have never worked in an office building downtown, it felt strange looking down on the city for a change. The visit if free, but only open during regular business hours, so unfortunately no sunset shots here.